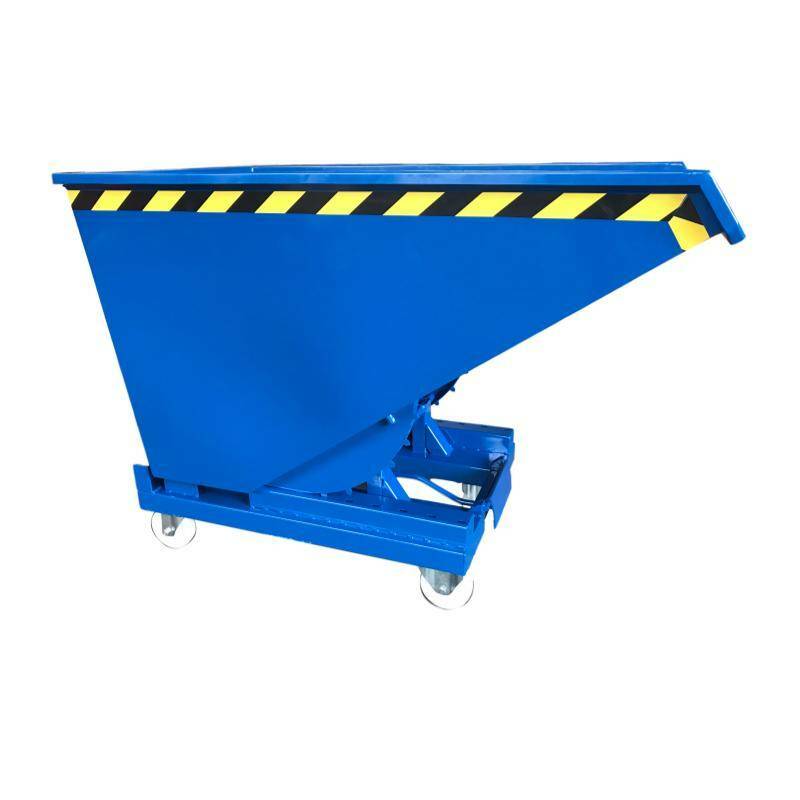 Chip Container Automatic 300L Tipper Container with Rollover System | SalesBridges B.V.
Chip Container SBTCMC300L. Suitable for forklift. 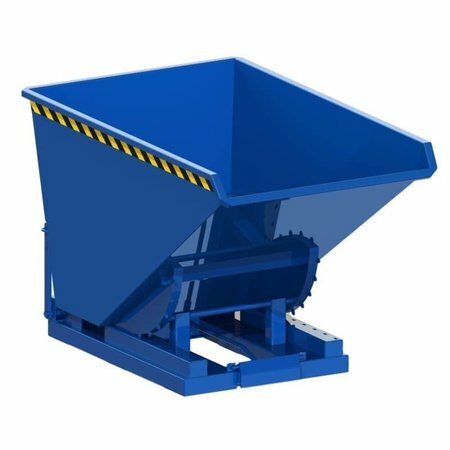 This Automatic Tipping Container is the ultimate solution for collecting and transporting all kinds of bulk goods. 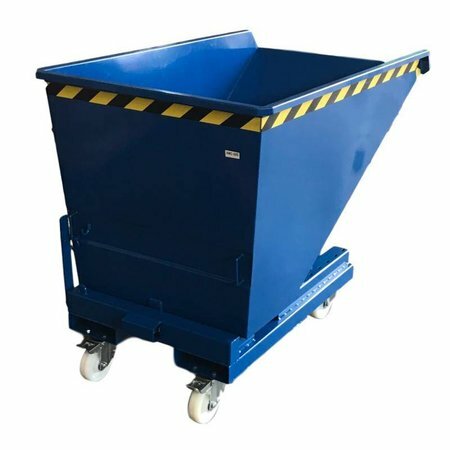 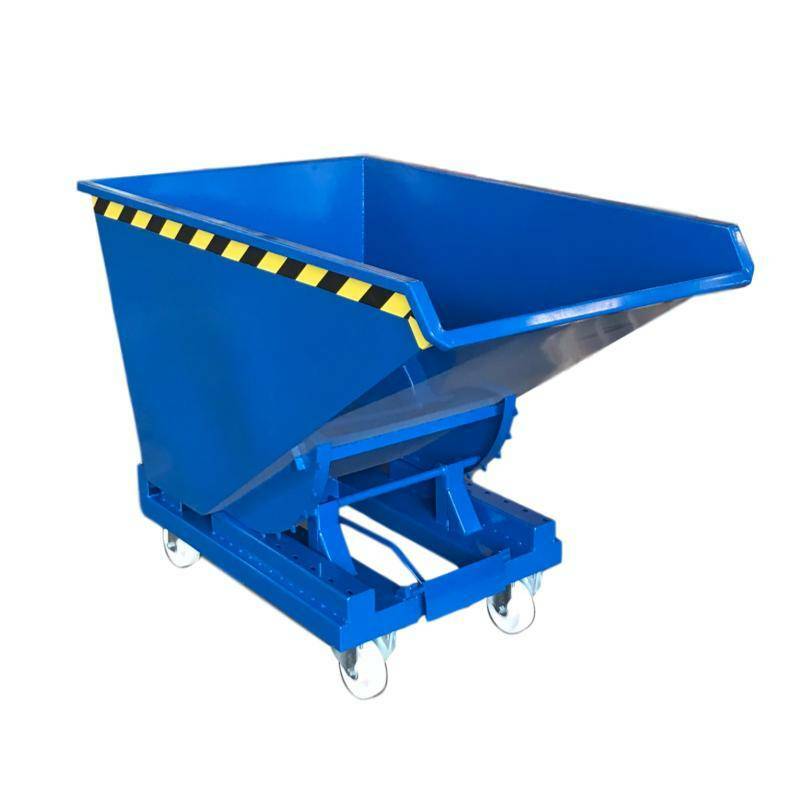 The SBTCMC Series Chip Container is equipped with an automatic tipper and a rear manual handle for tipping, which can be operated by a pull cord from the driver's seat of a forklift. 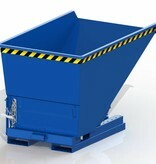 Ensures easy and controlled emptying. 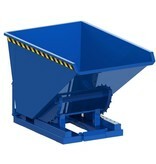 Very efficient, time-saving and safe. 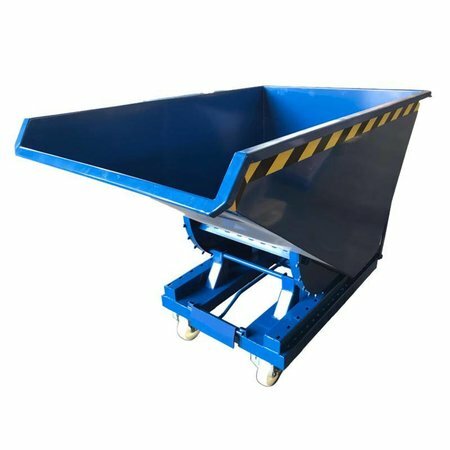 The SBTCMC series is characterized by its safety, versatility and high load and carrying capacity. 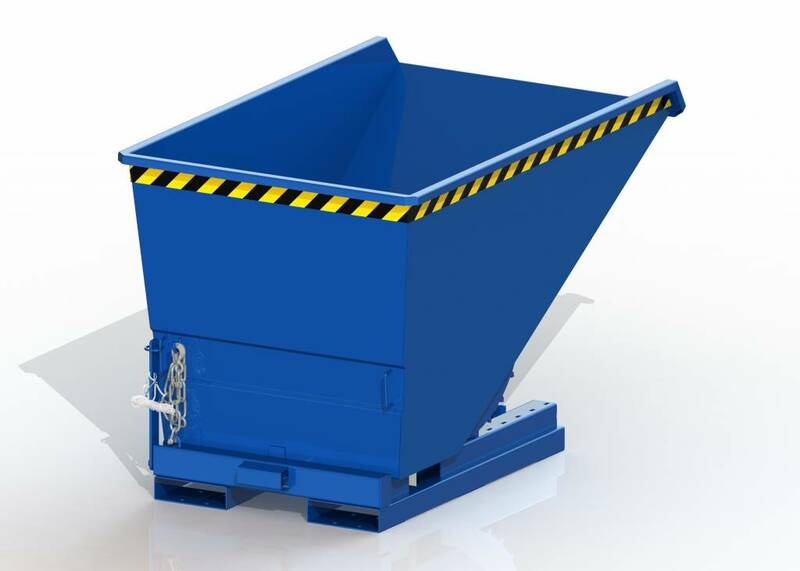 Thanks to the use of high-grade steel sheets and excellent finishing, these tilting bins are very durable and robust. 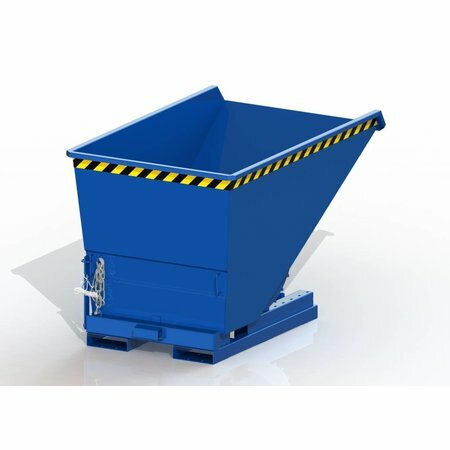 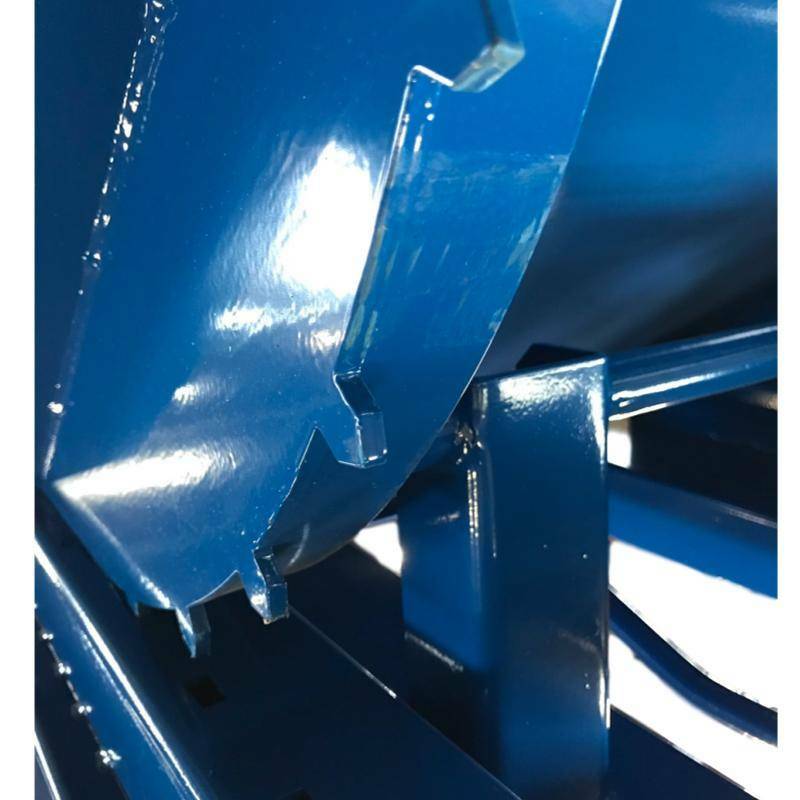 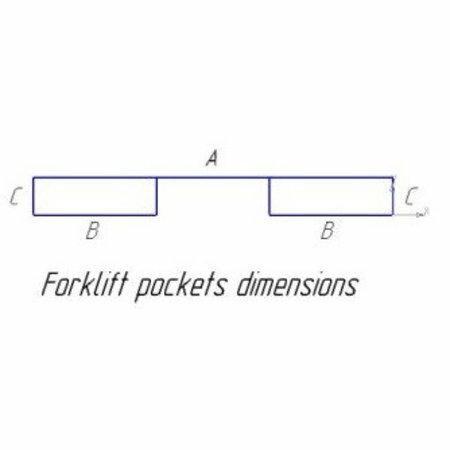 For extra safety, the tipping container can be secured with a safety chain on the forklift. Add a security chain and cable set to your order. 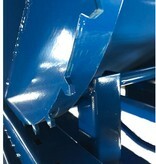 Finished with powder coating in standard color RAL5010. 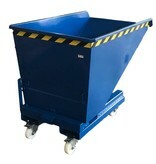 The containers can be ordered with wheels. The wheels are delivered not mounted as a set, including mounting material. 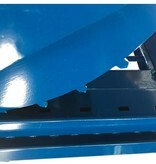 You have the choice between polyamide or PU wheels. We can also mount the wheels for you before delivery. 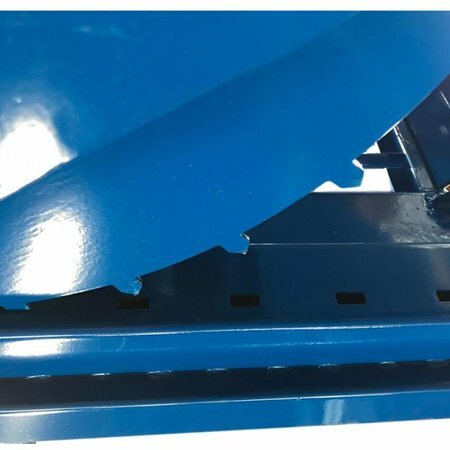 Please tick ​​'mounting wheels' for this option. 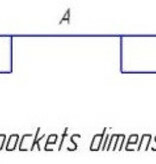 Het kantelbak is snel opleveren en licht dat twee mensen kan tillen om in de zij te zetten is echt handige bak en zit ook een goed coating erop u kan a tot z ingooien zonder lekken en u kan ook snel monteren op het heftruck .